There’s something comforting about being surrounded by organic and natural objects—they bring a touch of the outdoors into the home, and help create harmony between humans and nature. Our environment is precious and vulnerable; using high-quality, natural items that last and minimize waste is one way we can help protect it. Seto ware, the unique ceramics produced in Seto—a city in Aichi Prefecture—the perfect example of such items. 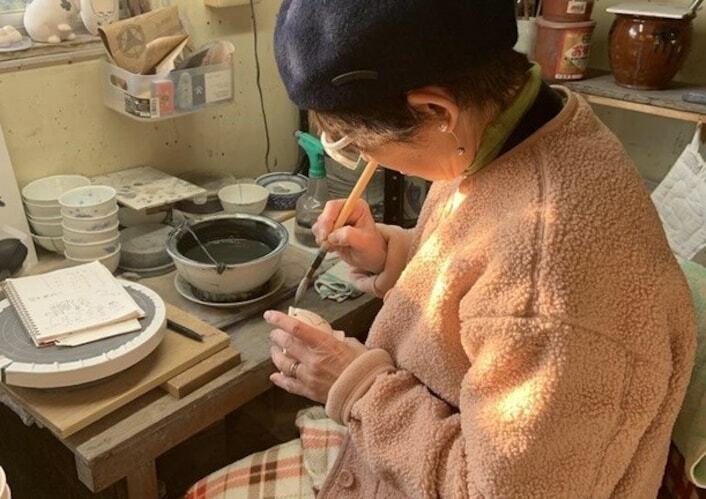 Artisans have been creating Seto ware for over one thousand years, and have passed along their knowledge and expertise from generation to generation. Part of what makes Seto ware special is the soil of the region; rich in clay just perfect for creating strong yet delicate ceramic pieces. Artisans have mastered formulating the perfect soil mixture suitable for their own creations. 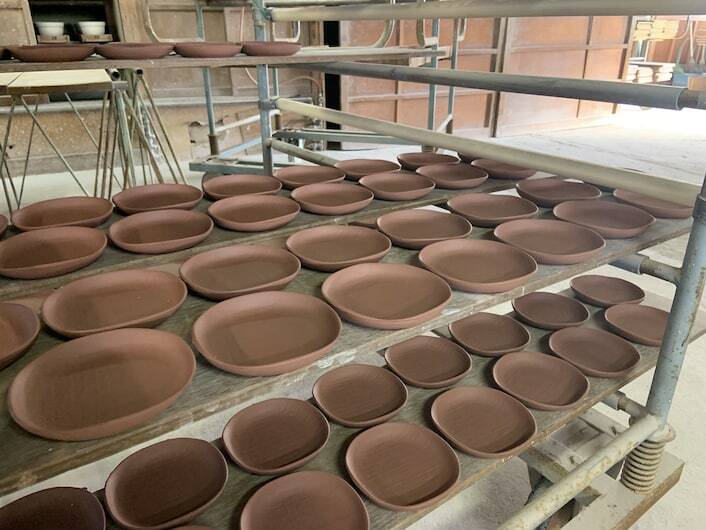 In a pottery studio called Hantouen, artisans use three different types of base material—a mixture of various soils and clay—as the foundation to create various products. 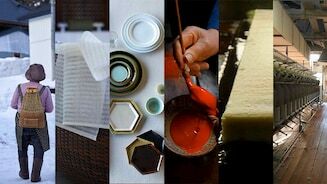 Balancing the base material itself is difficult, but artisans must then combine it with the perfect glaze, and the right method of firing before applying patterns onto each item. Seto ware is extremely versatile in its designs, texture and shapes, in part because of the wide ranges and glazes available, as well as the material with which it is crafted. 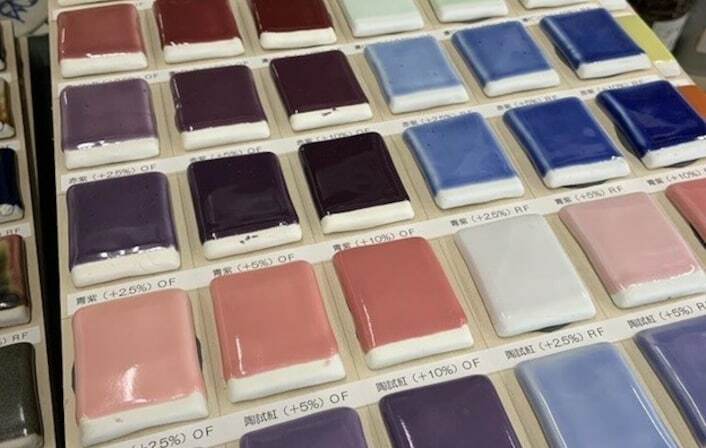 The assorted glazes are formulated with a combination of multiple chemicals, which makes them resilient and creates differing colors and glossy or matte finishes. Designs are drawn on by hand or applied with fabrics or other materials. In Hantouen, many of their products are drawn on by hand, creating soft, intricate designs that are unique to their studio. As technology has advanced, use of machines has become the norm in the ceramics industry. 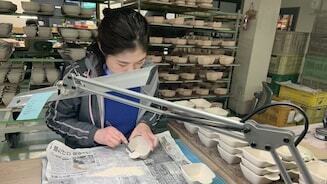 However, many ceramic businesses in Seto continue to do things by hand in many parts of the process. Handmade items may not have the same precise measurements as those made by machines, but many artisans choose to embrace the evidence of human touch and its imperfections. The creases, uneven edges and wobbly lines are what make each piece unique, as they bring out the warmth, love and care of the human touch. Seto sometsuke is one of Seto’s two traditional crafts, brought into the region in the early 19th century. 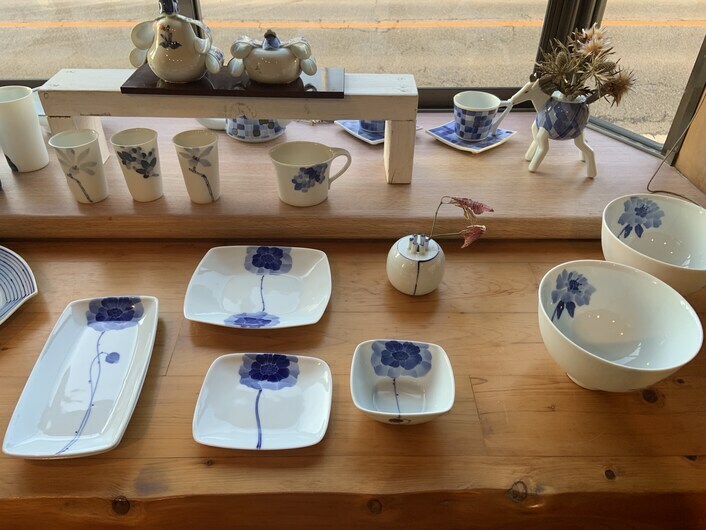 It is a method in which artisans use a large brush to soak up and release an indigo pigment called gosu to draw intricate patterns onto white ceramic. With the use of a single color of indigo in a complex technique called dami, artisans are able to create a soft pattern that emphasizes the movement of the brush. A gradient that highlights the transparency of various shades of blue are created by leaving the brush in one area longer than another. 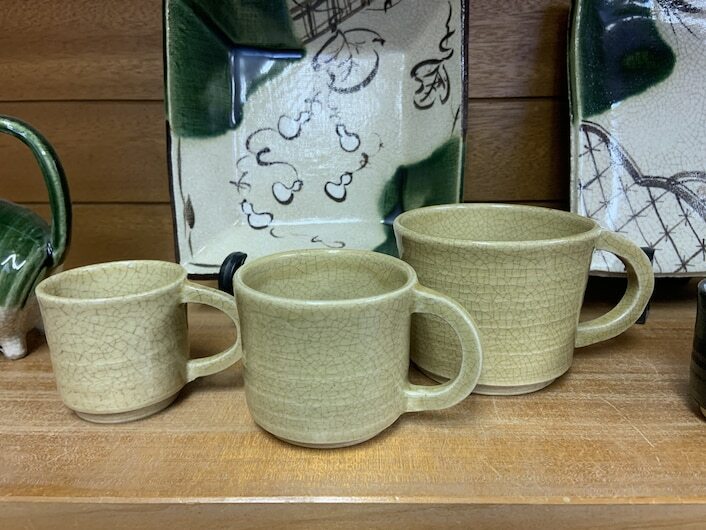 Singama is a small sometsuke pottery studio in Seto run by a family of three: father, mother, and daughter. 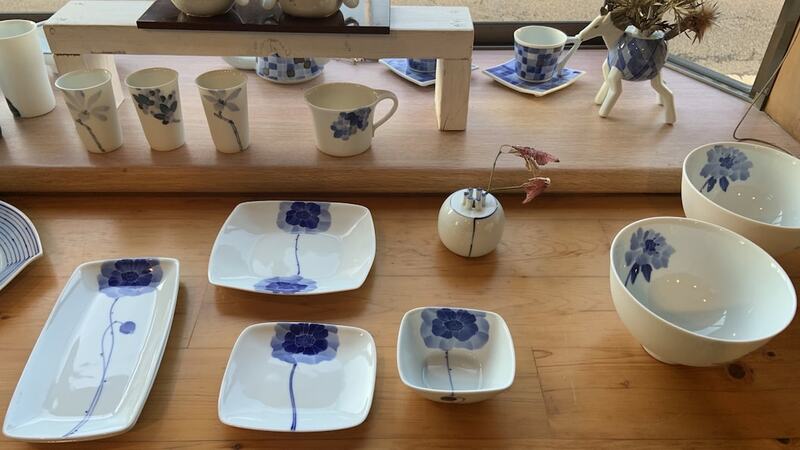 Their best regarded pieces feature beautiful floral patterns drawn with the perfect indigo color onto white ceramic. Their products are created with a traditional method, and each piece portrays the warmth of their hands. They aim to create tableware with intricate designs that bring peace and comfort into the lives of customers. Just looking through their gallery is enough to appreciate the beauty of their pieces; the thought of being able to use them every day is inspiring. 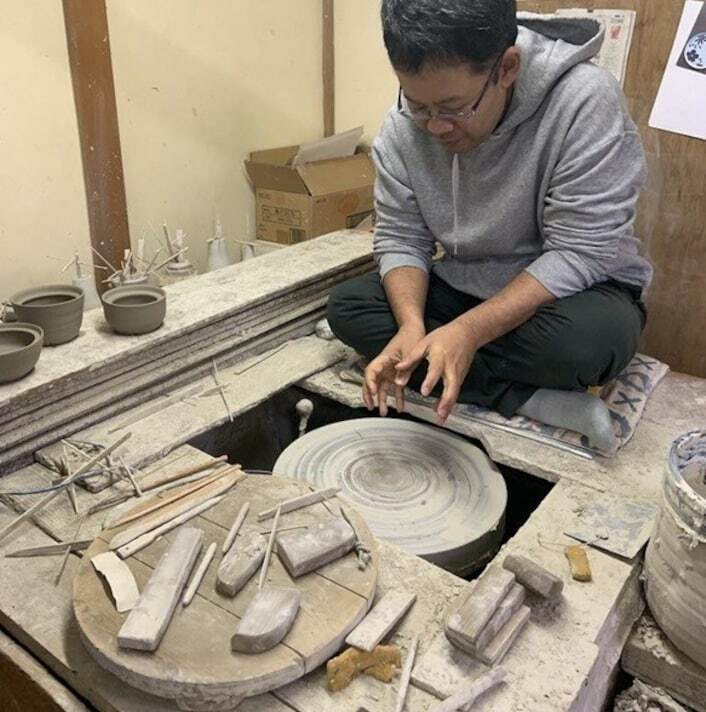 Another pottery studio creating Seto sometsuke is Tsubakigama, where the second generation artisan Eiji Hayashi is striving to create a new type Seto ware that incorporates both Eastern and Western styles. Though familiar with traditional methods, Hayashi is constantly developing a new forms of expression. The unique pieces in his gallery emphasize his push to the future, where traditional techniques meet modern thought, and also highlight the materials used in the crafting process. 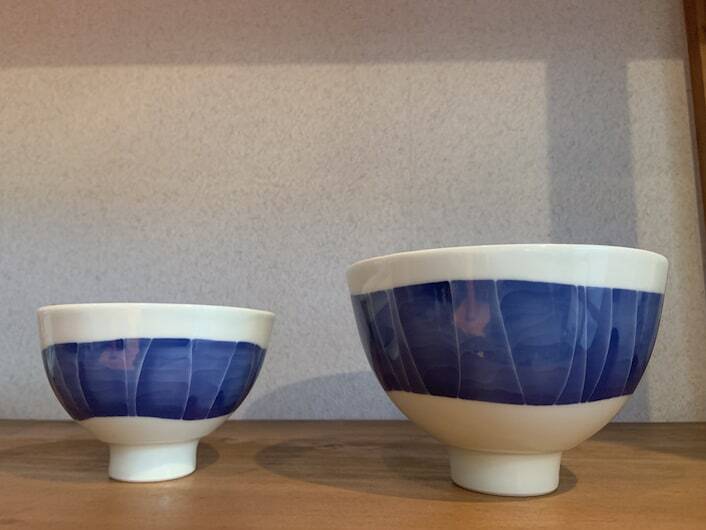 Tatsunobu Kato, the sixth generation artisan creating Seto ware at Sanpoen-kama, works in harmony with nature. He respects and appreciates the nature that surrounds him in Seto, and provides both materials and the inspiration to produce all of his beautiful creations. Instead of relying on many people and technology, he relies on himself and his hands, with the assistance of his mother. Sanpoen-kama is distinct for its oribe ware—which is richly glazed in green with designs of vegetation—and kiseto ware, a glossy yellow-toned ceramic. Recently, Kato has also created simple, monotone tableware that has been gaining popularity as well. 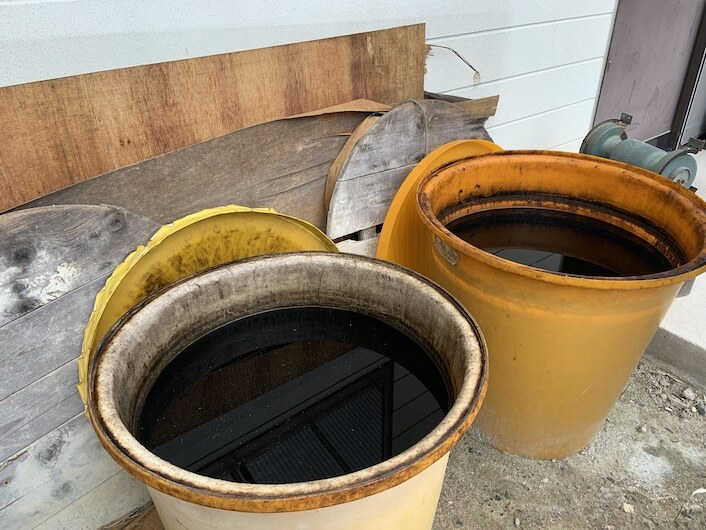 Aside from the soil taken from Seto, Kato also uses organic matter foraged from his surroundings. The picture above shows tochishibu, a dark liquid used to emphasize the cracks on the ceramic, which creates a simple and delicate effect. Every year, Kato goes into the mountains near his house to pick up hundreds and hundreds of acorns, and leaves them soaking in water for months to create tochishibu. In fact, most of the tools he uses to create his ceramic pieces are handmade using the materials found in his surroundings, his methods are those passed down from his ancestors. In working this way, he is able to express his appreciation to both his family and his environment. A delicious meal deserves to be served on something beautiful, and Kato aims to create tableware that his customers will be excited to use every day. 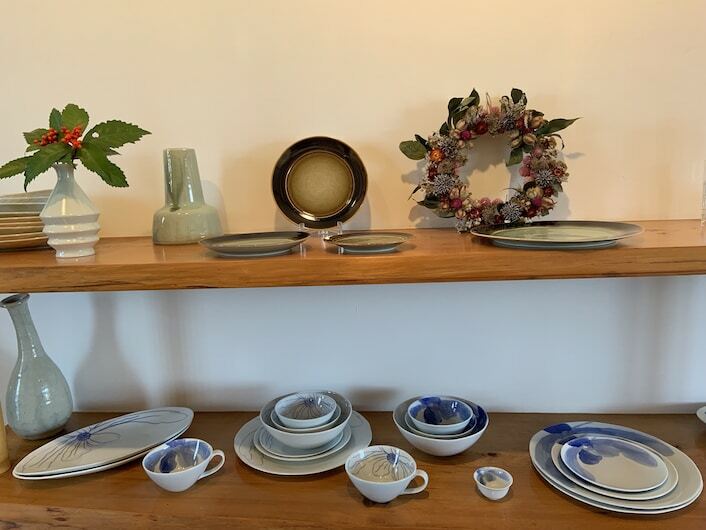 Acquiring handmade Seto ware is like acquiring a piece of art history, one that reveals the traditional values and craftsmanship of the region. Each piece is inspired by nature, crafted using materials that make us feel calm and at peace, and will bring warmth and abundance into our homes. There are as many designs as there are craftsman, and each piece is deceptively complex, beautiful and durable.